Since 1975, the grizzly bear has been considered an endangered species, which prohibited them from being hunted under the Endangered Species Act (ESA). When the grizzly was added to the ESA in 1975 only 136 of the animals were around. Now, that number has climbed and sits around 700. When Interior Secretary Ryan Zinke, a self-described outdoorsman from Montana, took the post last year, he removed the grizzly bear from the list, something the U.S. Fish & Wildlife Service recommended back in 2005. Once Zinke removed the bear from the list, Idaho and Wyoming were willing to allow a limited number of grizzlies to be hunted. The idea was to control the greater Yellowstone ecosystem. Both states were set to open grizzly season on Sept. 1. This was the first year Wyoming would have had a grizzly hunt since 1975. Idaho had not had one since 1996. Montana, who declined to participate this year, has not had a grizzly hunt since 1991. A lawsuit, however, was brought about by animal rights activists and Native American tribes to prohibit the hunting of grizzly bears. The lawsuit was backed by 30 groups, which included the Humane Society, Center for Biological Diversity, National Parks Conservation Association, Northern Cheyenne Tribe, and Sierra Club. The hunt was backed by pro-gun groups such as Safari Club International, the National Rifle Association, the Rocky Mountain Elk Foundation and the Sportsmen’s Alliance Foundation. According to these groups, utilizing hunting to manage grizzly bears is vital. 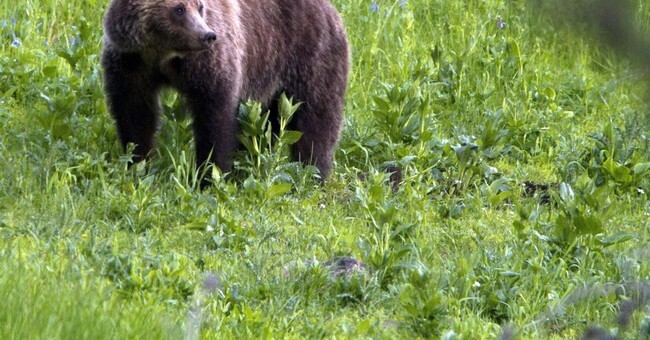 In the judge's order, he said the plaintiffs, those who wish to keep grizzlies on the ESA, had to establish irreparable harm would take place if the grizzly hunt took place. He ruled that proofing that the bears' deaths would be sufficient enough evidence. The judge ordered a fourteen day temporary injunction, meaning the courts could change their decision in a few weeks.